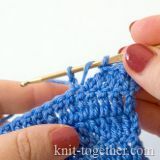 Knit Together | Crochet Lessons - detailed step by step instructions with photos for beginner crocheters. how to crochet in the round. 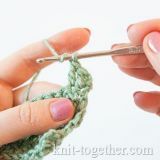 You will be able to crochet a scarf and a cap and more difficult things when you master basics of crochet. 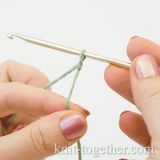 In this lesson there is brief information about how to choose the crochet hook and the yarn. 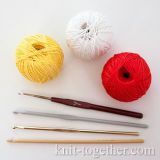 We begin with selection of crochet hook and yarn for your project. 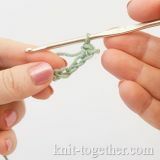 In this lesson I tell to you about how to hold the crochet hook and the yarn. And then you will be able to choose the best method for you. 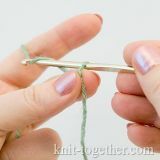 In this lesson you will learn about how to make a crochet slip knot in order to attach the yarn on a crochet hook to start your project. 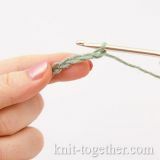 In this lesson you will learn about how to make a Chain Stitch. Also you will learn what is the Turning Chain. 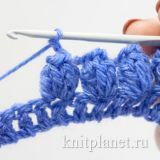 In this lesson you will learn how to make the single crochet stitches. We consider three basic ways how to make them. And you will learn a difference between these ways. 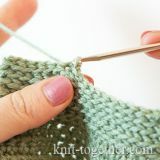 In this lesson we will tell you about slip stitches, where them use, and how to make them. 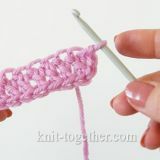 In this lesson you will learn how to make the double crochet stitches. 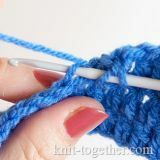 There are several ways to crochet stitches: in the loop and in space between stitches. You will learn about both ways. 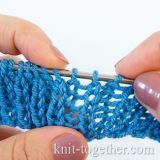 In this lesson you will learn how to crochet in a spiral and you will learn about the main rule of adding loops in circular crochet. 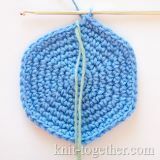 And so, in the previous lesson we learnt to crochet in the spiral using the simple crochet stitches. But this is not the only way to crochet a circle. 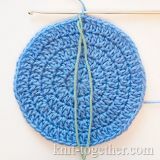 In this lesson you will learn how to crochet in a round using slip stitches and chain stitches.